To hear the QSound™ effect you must be positioned centrally between the two speakers. If the dog barking at the beginning of the record doesn't sound like he's in the yard next door then your speakers are out of phase. Thanks to Danny Lowe, Brian Cowieson and all at QSound™ for their technical innovation and support. QSound and "Q" are trademarks of Archer Communications, Inc., 1991. According to http://www.brain-damage.co.uk has the master engineer said that he is working on the vinyl remasters for the Roger Waters albums. 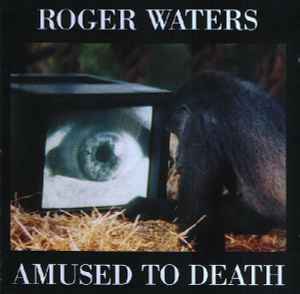 So finally a new pressing for Amused To Death. Hopefully just as good or even better than the first and only official release!